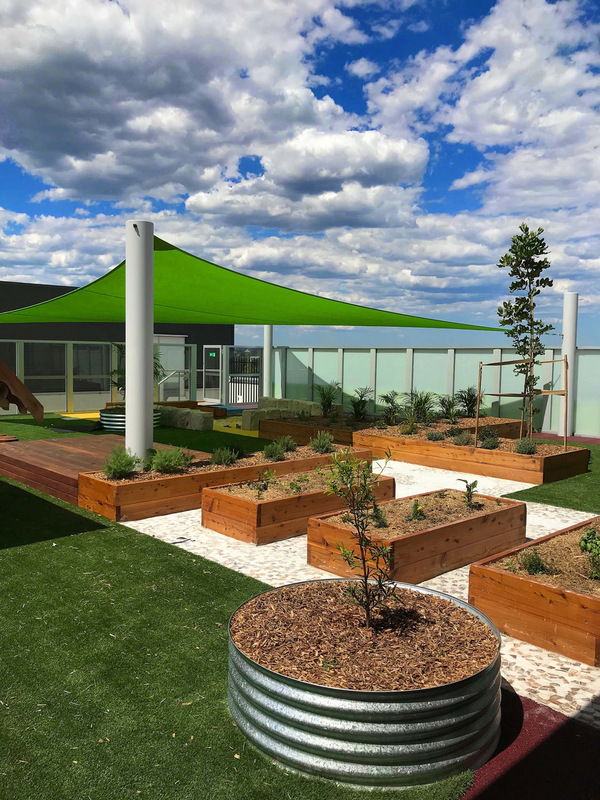 A rooftop play space that embraces its harsh environment, designed to be mindful of engineering limitations and limited budget. 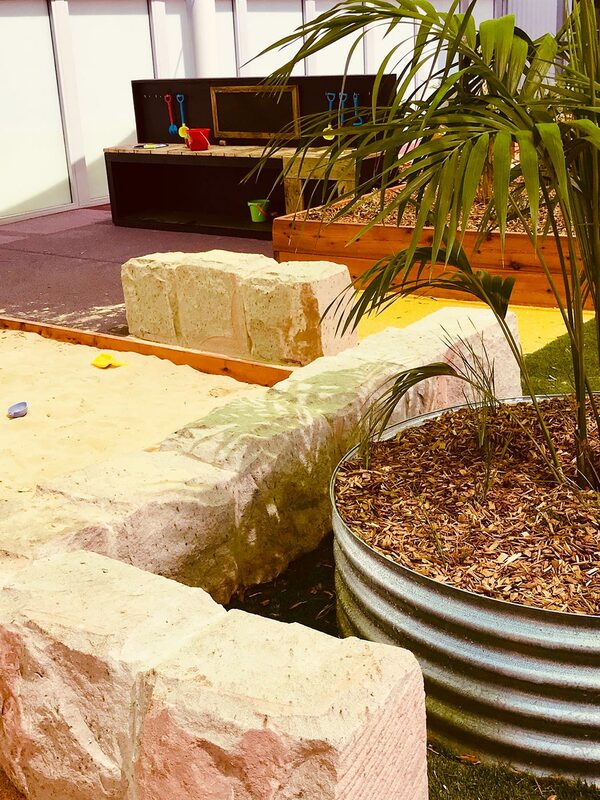 The garden structures are strategically placed to work with a structurally limiting concrete base and create garden rooms that function as active and passive play zones. 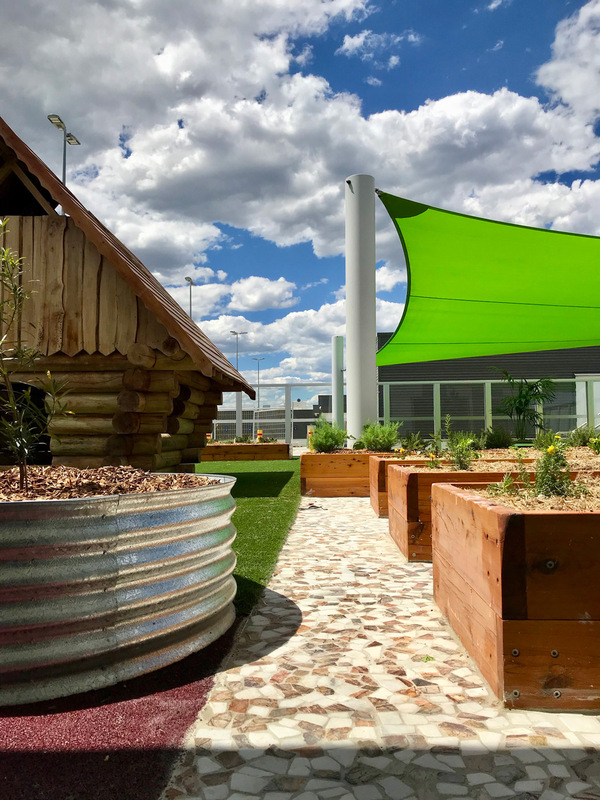 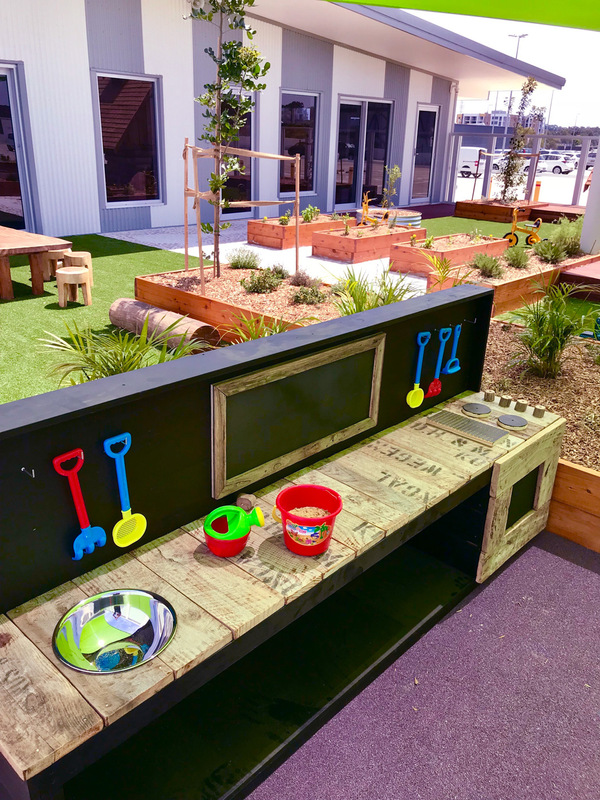 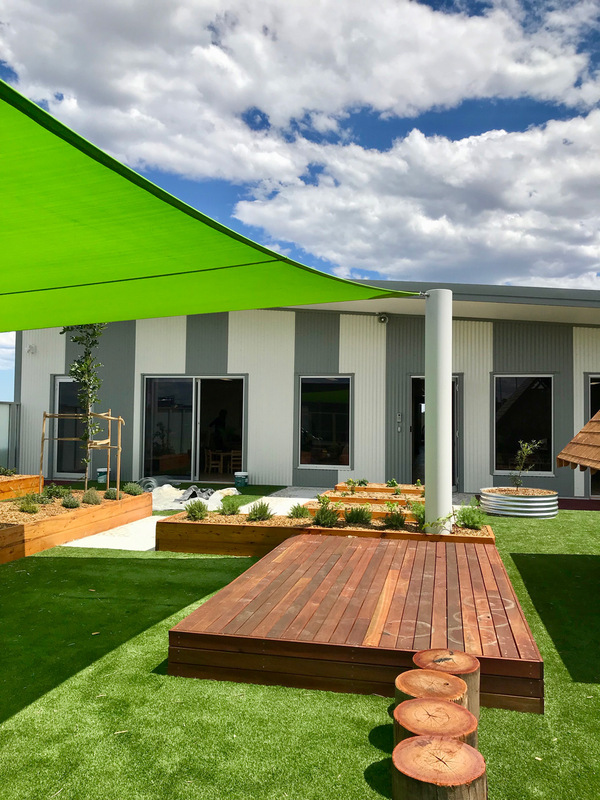 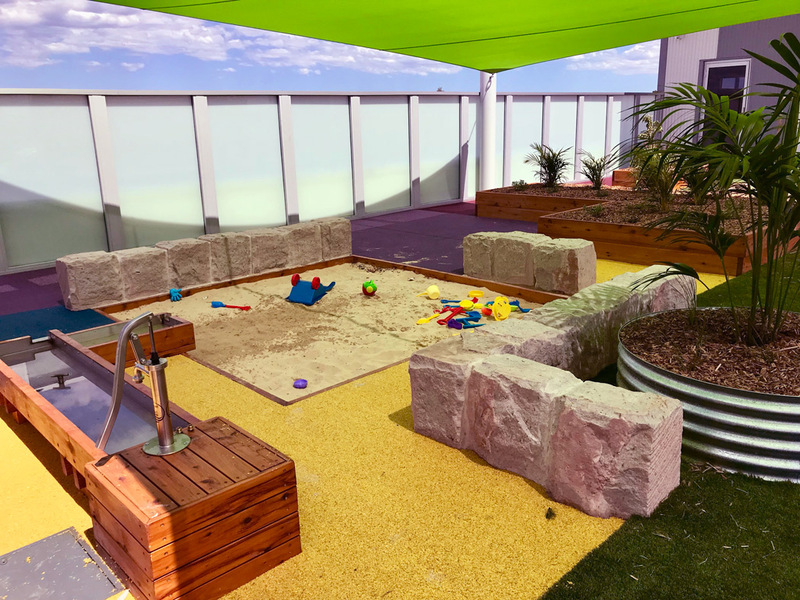 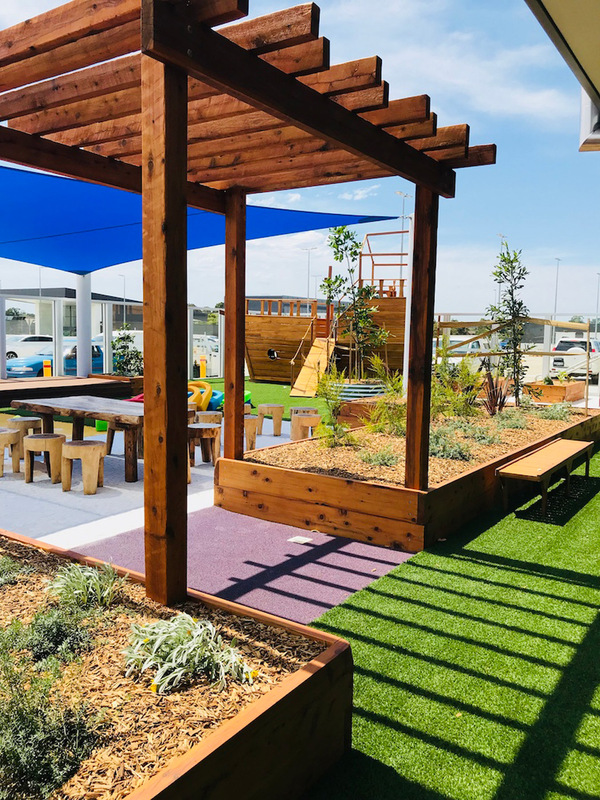 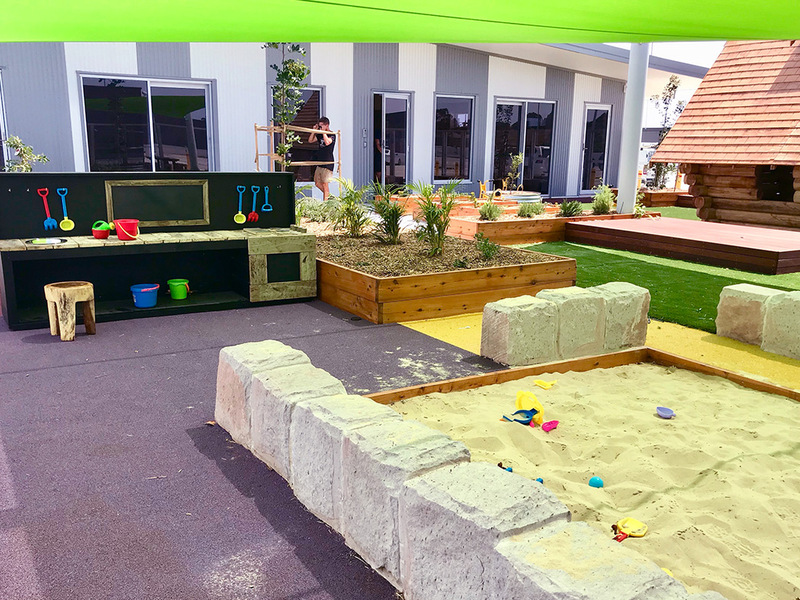 Different surface textures help to define the play zones and link the various play elements that include a cubby, productive garden, shade sails, sand pit with sand kitchen and water play, performance stage and outdoor learning area.